Legacy - A Design Champion for South Africa's Government? In this News24 interview with Jennifer Sanasie, I mention Director General of the Department of Arts and Culture, Mr Vuyo Jack's interest in the idea of a design champion in government. What I don't mention is that during his closing speech at the 'Make a Plan' conference in Cape Town last week, DG Jack also spoke of the need for design thinking threaded through all of South Africa's strategies. Powerful stuff. News24 South Africa is here. 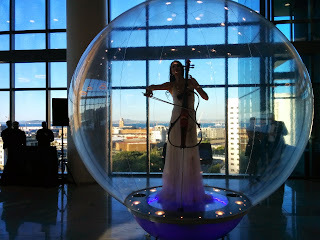 A remarkable cellist entertained guests on Saturday evening 18th October at the drinks reception held on the 8th floor of the Portview Building in Cape Town, prior to the Convocation Ceremony to hand over the baton to Icsid World Design Capital Taipei 2016 which was held on the 28th floor. In addition to the ceremony itself, we enjoyed spectacular views of the city as the sun set over the mountains. In her handover speech, Cape Town Mayor Patricia de Lille paid a passionate tribute to all involved in the success for Cape Town of WDC 2014 and congratulated Taipei on its success as World Design Capital 2016. The Commissioner of Taipei City Government, Dr. Wei Gong Liou offered his thanks to Cape Town and promised an exciting and significant year for his city in 2016. In South Africa, to say 'Make a Plan' means, 'Let's do something now!'. And that is exactly what is happening here as the key design and government stakeholders work to shape the Design Agenda for South Africa. With the support of the Premier of Western Cape, Helen Zille and the Ministry of Arts and Culture Director General Vuyo Jack, (speaking on behalf of his Minister Nahti Mthethwa), - who topped and tailed what has been a truly remarkable two-day conference here in Cape Town - the opportunity for a unique response to the development of strategies and policies for design feels very strong. We have been located in the beautiful new football stadium built for the 2010 World Cup at Green Point and very close to the city. Bringing the conference to life, we had a huge array of very high quality and inspiring speakers. In addition to speakers from South Africa itself, we heard stories and contributions from Ghana, Botswana and Kenya. Beyond the continent of Africa itself - which, by the way, we learned, can quite happily contain the countries of China and India side by side within its land mass leaving room for Germany, France and some other countries as well - speakers and panelists travelled from the US, Brazil, Columbia, India, Italy, Turkey, Canada and China. The speakers' biogs and their views and opinions (click on 'read more' under each biopic) can be found here. 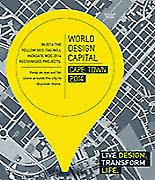 All the speakers' presentations will be available on the World Design Capital Cape Town 2014 website in due course. The conference programme was put together by the amazing Programme Director Nicky Swartz who, with Lisa Costa de Rose and her team has done a truly world-class job. Through the support of the city and the WDC sponsors, we have had an opportunity as a global 'community of policy practice', to come together to talk powerfully, and with great insight to progress the opportunity that Cape Town, The Western Province and South Africa are facing as they work hard to embed design as a strategy for development of their society and economy to improve the quality of life for all. 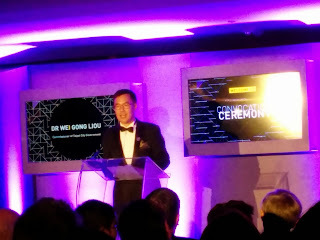 It has truly been an inspiring experience to have the honour of Chairing the event. Some initial notes on the conference can be found here. We are all set for an amazing two days here in Cape Town. The conference organisation has been fantastic and we have an excellent line up of speakers and panelists. You can check them out here. The conference has been created and pulled together by the Programme Director Nicky Swartz and is the culmination of a whole series of activities that have taken place to lay the groundwork for a design strategy or design policy – or perhaps design in policies – for the Western Cape. 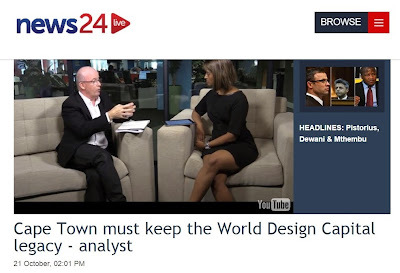 This is an important moment for World Design Capital Cape Town as these two days will help to shape the next steps for the design agenda in the Western Cape and perhaps even for South Africa. The conference is being opened by the Honourable Helen Zille, Premier of Western Cape and the closing words will be given by Minister of Culture and Arts Nathi Mthethwa - both of these speakers to be introduced by Alayne Reesberg the Director of WDC Cape Town 2014. The Cape Town WDC team has attracted over 250 delegates including academia, business owners, WDC Cape Town 2014 recognised projects, government, corporates, the Icsid Board, design promotion organisations and of course designers. Congratulations to Nicky Swartz and her team. I have arrived in Barcelona for the 3rd Austria Connect Iberian Peninsula Conference organised by the Advantage Austria offices in Barcelona, Madrid and Lisbon. It all kicks off tonight with a welcome address and reception with Catalonia's Minister for Enterprise and Employment, Felip Puig i Godes, to be held in the City Hall. This will be followed by a Gala Dinner attended by the Secretary of State for Trade, Madrid, Jaime Garcia-Legaz Ponce and the Austrian Ambassadors in Spain and Portugual, as well as the Director General of Advantage Austria, Walter Koren. I have been invited by Advantage Austria Trade Commissioner in Barcelona, Dr Robert Punkenhofer, to give a presentation to conference tomorrow afternoon, Friday 3rd October, along with Georg Wagner of Spirit Design in Vienna. We are looking forward to making a joint presentation for delegates on design as strategy and sustainable design behaviour. The Conference Programme is here in German. 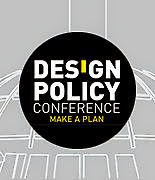 Check out the great international design policy conference 'Make a Plan' to be held in Cape Town later this month on the 17th and 18th. It is an Icsid Signature Event for World Design Capitals. I am enjoying working with the Conference Director Nicky Swartz and am looking forward to weaving the red thread for conference delegates as Conference Chair. There is a fantatsic line up of speakers and there is much to learn. Conference registration here. Running in parallel with the conference is another Icsid WDC Signature Event, the Design House Exhibition. This year's theme is, 'Transforming Cities'. And there are some great cities on display ranging from Dublin to Taipei.